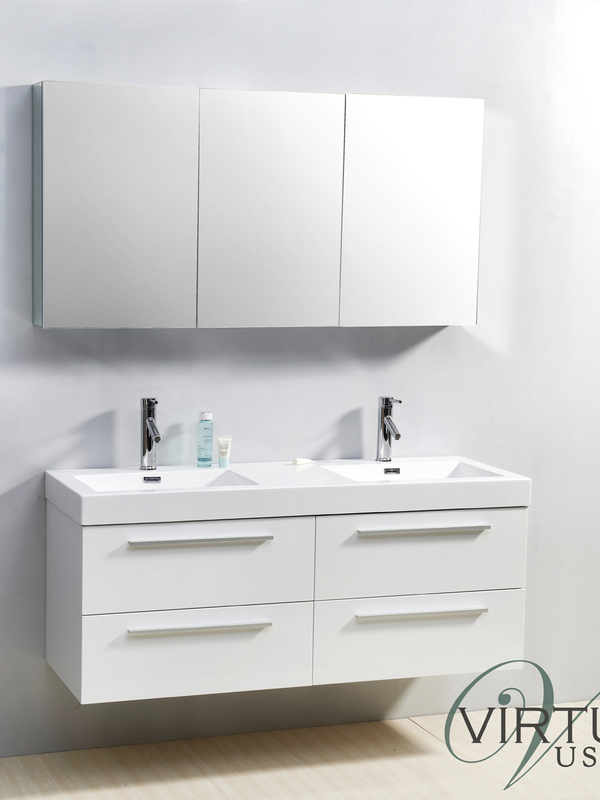 With innovative soft-closing glides and a beautiful ultra-modern style, the 54" Finley Double Sink Vanity will define the style of your bathroom. 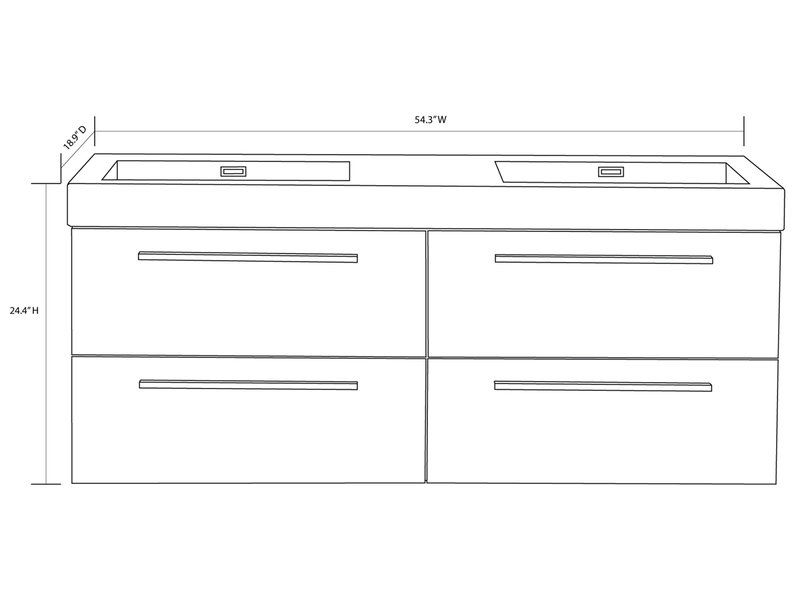 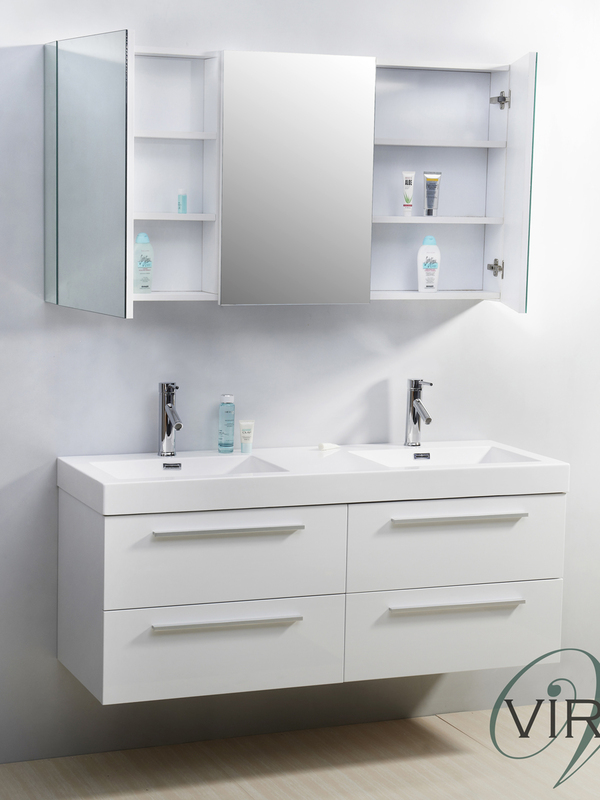 Its cabinet features four spacious drawers full of storage room, all with a Satin Nickel handle and soft-closing glides. 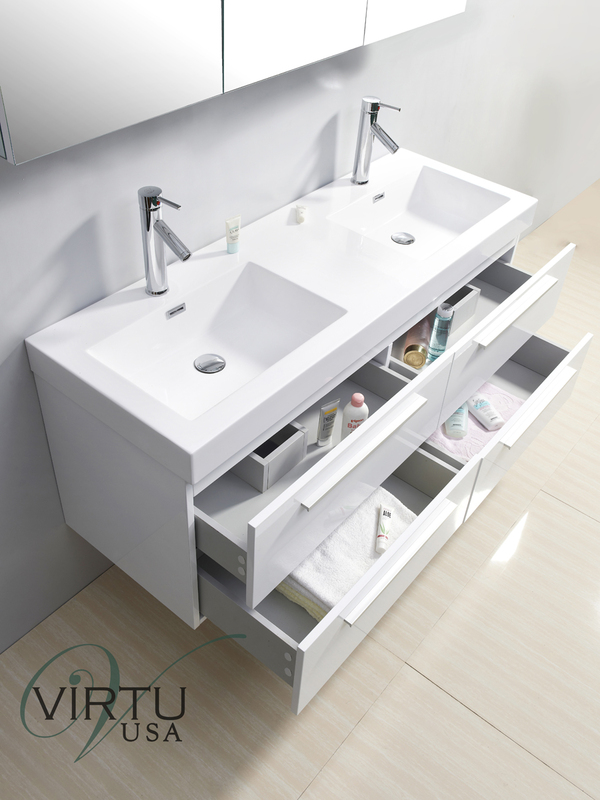 The top is composed of a high-gloss polymarble material with an integrated sink top design and comes with two Chrome single-hole faucets. 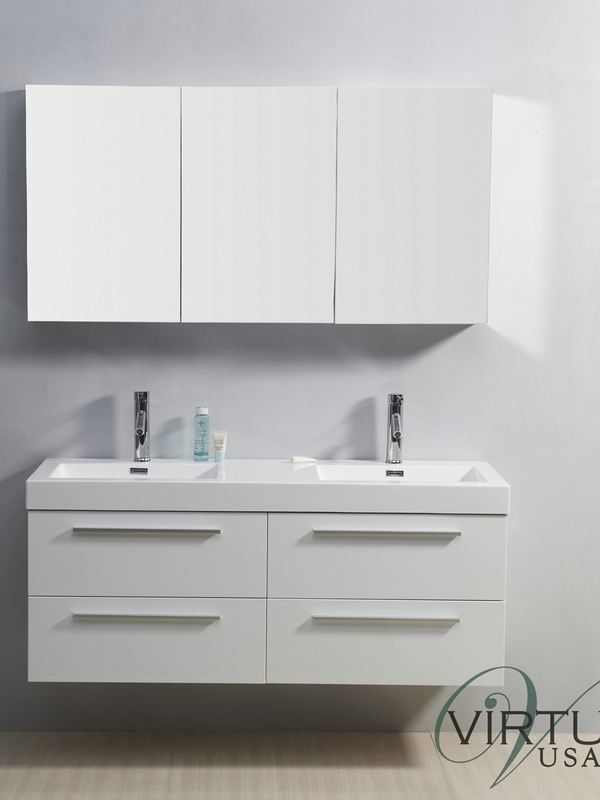 Recreate the design of your bathroom with the Finley Vanity.